Everyone knows that Clarice Bean is exceptionordinarily keen on the Ruby Redfort books. 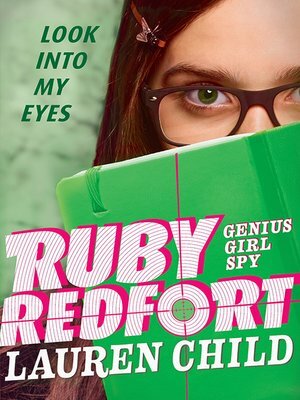 Now in her own starring role, Ruby, a genius code-cracker and daring detective, along with her sidekick butler, Hitch, work for a secret crime-busting organization called Spectrum. Ruby gets into lots of scrapes with evil villains, but she's always ice-cool in a crisis. Just take a classic screwball comedy, add heaps of breathtaking action, and multiply it by Lauren Child's writing genius, and what have you got? Only the most exciting new middle-grade series since, like, ever.